Mumbai, 6th November 2017: Fostering photography talent worldwide, Canon, leader in the digital imaging space, is back with its largest live photography competition, the Canon Photo Marathon 2017. The first leg of the Canon Photo Marathon in India took place at Bhaidas Auditorium, Ville Parle West, in Mumbai. The one-of-its-kind, theme based day-long photo contest witnessed photo enthusiasts put their photography skills to test in a bid to win name, fame and exciting prizes. 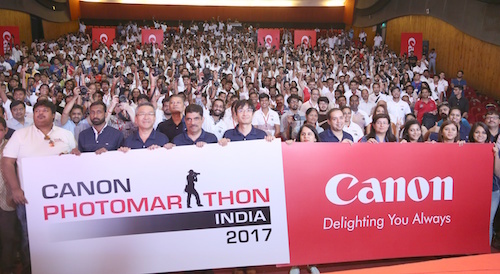 The Mumbai edition of 8th Canon Photo Marathon in India was flagged off by Mr. Kazutada Kobayashi, President & CEO, Canon India and attracted over 800 entries. The eminent jury of judges included Dharma Chandru – Indian sport photographer, renowned wildlife photographer – Sagar Gosavi and award winning photographer, researcher and educator – Abin Alex. Canon Photo Marathon is an annual event and is being organized across 12 Asian regions apart from India. Deemed as one of the largest photo competitions, the event brings photography enthusiasts closer, while challenging them to push their boundaries and showcase their photographic creativity through their own perspective. The day-long photo competition offers a memorable experience and attractive prizes for various category winners. The grand winner wins Canon Photo Marathon Asia Championship which is an all-expenses paid photography tour specially organized for the grand winners of respective regions. The winners of the Photo Marathon from each region will travel to Japan to participate in the Canon Photo Marathon Asia Championship 2018. Elaborating on the evolving photography culture in India and commenting on the event, Mr. Kazutada Kobayashi, President and CEO Canon India, said, “We at Canon India, believe that each picture captured is a work of art that deserves to be celebrated and appreciated. Photography culture is significantly progressing in India, as we grow further, we are focused on nurturing and enhancing this culture. Backed with the same objective, we bring Canon Photo Marathon, which is a recognized platform for photography enthusiasts, who, consistently contend to win the coveted winner title and get rewarded for their exemplary skills. Just like our 20 years of remarkable journey in the country, the Canon Photo Marathon has also been receiving the appreciation of customers for several years. 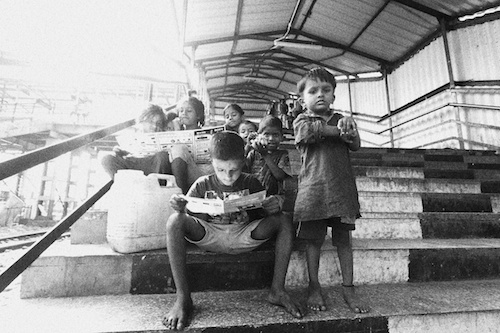 As we commence the eighth edition of the Photo Marathon in India, we would encourage the photographers to unleash the artists and story tellers within them and create lifetime memories with the powerful and magical medium of photography”. Commenting on the Canon Photo Marathon, Mr. Eddie Udagawa Vice President, Consumer Imaging and Information centre, Canon India, said, “Canon Photo Marathon is one of the most awaited events of the year for photography enthusiasts and our endeavour is to make it more exciting each year. As Canon Photo Marathon enters its glorious eighth edition, we are overwhelmed with the responses of photography enthusiasts with respect to the day long live photography contest. We see the number of participants grow year on year and have also seen a lot of change, since we first started Photo Marathon in India. Initially it was more of professional photographers who participated in this live photo contest, gradually over the years we have seen beginners, hobbyists, youngsters and females who have started participating in Photo Marathon. Looking at the young talent, we have also introduced student’s category last year where students from various schools participate in this event. We are working towards bringing out extraordinary talent through this platform and give an opportunity to cultivate every participant’s interest into their passion. We look forward to a great edition of Photo Marathon where participants play their tricks and techniques with cameras to present exemplary imagery”. 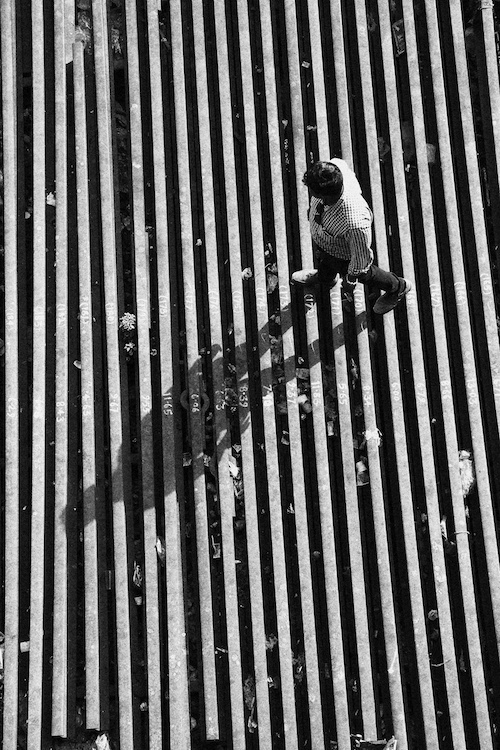 As part of this challenging contest, each contestant had to shoot pictures within a limited timeframe and on given themes. Canon also encouraged students to participate, under a special ‘student category’, in order to nourish their photography skills. Students from more than 15 schools participated in this event. Two unique themes – ‘Enlightenment’ & ‘Shadows and Light’ were announced for the general category. For the student category only a single theme was given, which was ‘Peace’. First prize winner for the student category was Tushar D’Souza, from St. Mary’s School, Mazgaon. St. Mary’s School also bagged most of the awards in the student category and was felicitated as the top school in the competition. The pictures were judged by well-known photographers based on their creative, technical and narrative sense. Commenting on his win, Tushar D’ Souza, winner in the student category, said, “This is an extremely exciting opportunity for me. Having won the first prize at the prestigious Canon Photo Marathon surely gives a boost to my interest in photography. I am very thankful to Canon for this unique platform and also for adding a special category for students. I would also like to acknowledge the support of my school, St.Mary’s Mazgaon, for the regular training in photography through our ‘Photography Club’. Our school and photography club teachers continuously encourage us to attend these classes and hones our skills in the space. I am thrilled to have won this grand recognition. Taking home a bunch of prizes, like the Canon EOS 1300D is definitely going to support my love for photography and further build my confidence”. Every year, Canon India associates with selected brands to deliver maximum value to the participants. This year was no different with 6 partners for the Mumbai leg of the Photo Marathon, including Adobe India, Make My Trip, Western Digital, JTB, Huion & OLX. Besides showcasing some of their products, these brands also offered some lucrative prizes to the winning participants. The highlight of the event was not only the Grand prize but exquisite prizes awarded to the second and the third winners with EOS 6D Mark II and EOS 80D respectively. Additionally, there were exciting prizes for theme based winners and students category. Canon India Pvt. Ltd., a 100% subsidiary of Canon Singapore Pvt. Ltd., is a world leader in imaging technologies. Set up in 1997, Canon markets over 200 comprehensive range of sophisticated contemporary digital imaging product and solutions in India. The company today has offices and warehouses in 14 cities across India and employs over 1000 people. Canon has over 500 primary channel partners, 14 National Retail Chain partners, and over 6000 secondary retail points. Canon has 243 own retail stores accredited as “Image Square” across 117 cities in the country. Canon India’s service reach extends to over 600 towns covering 17,564 PIN codes across India - which comprises of 300 Camera collection points, 18 Camera repair centres, 235 Printer repair centres, 185 Copier, Scanner and Large Format Printer Sales & Service dealers.